Looking to Purchase a PGA West Home? 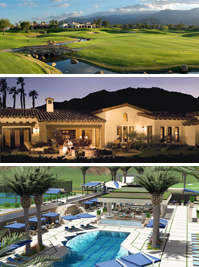 Harris Houses has shown hundreds of people the way to a PGA West lifestyle. We'll gladly answer all your questions about club membership, home owners associations, market trends, investment properties and anything else that has to do with PGA West. After all, we live here too. "We knew if we waited until retirement we might be priced out of the market. They showed us how we could afford a PGA West home now that would produce a steady stream of income. We're enjoying it during vacations and we'll move here fulltime when we retire." "By far the most pleasant experience we've ever had buying a home."